With the entry of Germany into war against the USSR the world political situation has been transformed to its foundations. The position of the working masses as well as the conditions of the struggle of the peoples enslaved and oppressed by fascism have radically changed, the very character of the war has changed. Like wild beasts, Hitler's infuriated hordes have assaulted the Soviet land, thinking that there, too, they would find a state weakened by the fifth column.1 Those destructive hordes have plundered and killed people who for twenty years had been building socialism, workers and collective farmers who were living in prosperity and happiness, without exploitation of man by man. Those hordes have disturbed the tower of the fortress of peace, the whirlwind of the war has torn madly through the fertile Soviet plains. All the peoples of the Soviet Union, led by the Bolshevik Communist Party, have risen to their feet, to a man, to defend their socialist land. The glorious Red Army has struck and is still striking lethal blows at the hordes of German fascism. More than four million of the elite of the blood-thirsty Hitlerites have been put out of action. That army equipped with all the means, which it captured in the countries of Europe it has enslaved, is being crushed in its encounters with the powerful defences of the world of socialism. With meetings, with manifestations on the 22nd of June, the day when Hitler's hordes launched their surprise attack on the Soviet land, the USSR told us of the certainty of its victory. With the heroic struggle for the destruction of fascism which has now been going on for six months without respite, the USSR has demonstrated to us the certainty of its victory. Comrade Stalin made these events known to the whole world by saying: “The enemy is strong and we have to mobilise all our forces to crush him. The war will be protracted and bloody. Hence we should understand the situation. If we came out on top in the counterrevolutionary intervention of 1918, how much more shall we come out on top today when fascism has begun to collapse under our blows and we shall go on dealing it lethal blows until it is completely destroyed”. These words of the great comrade Stalin are being vindicated by the latest events on the war front, events which presage the great offensive which will not cease until fascism has been wiped from the face of the earth. The influence of the Soviet Union has grown stronger than ever in the eyes of the enslaved peoples, as well as in the eyes of the peoples of Britain and America, who want to put an end to this war imposed on them as well as to fascism. This strong influence is due to the fact that the USSR is fighting in defence of the socialist Fatherland and for the liberation of the enslaved peoples, for the establishment of a just peace without annexations and tribute and without enslavement of foreign peoples. This influence of the USSR is due to the fact that the Fatherland of socialism is fighting for the right of the peoples to determine their own fate. The captive peoples of Europe, determined to put an end to the intolerable slavery under which fascism keeps them pinned down, are dealing heavy blows at the enemy with sabotage, strikes and armed actions. Europe has turned into an active volcano of the national liberation struggle headed by the communist parties. Likewise, a powerful struggle is being waged by the peoples of Italy and Germany for their liberation from slavery to Hitler and Mussolini. Now, in all countries, a front has been created of all progress-loving democrats in struggle against darkness, violence and slavery, against the sworn enemy of mankind – fascism. This situation has caused the formation of two opposing fronts which are mortal enemies: on the one hand the front of the unjust war, the plundering war, of darkness, slavery, the front of fascism; on the other hand the front of the just war, the liberation war for progress, culture and civilisation, a front constructed around the great Soviet Union by the democratic countries,2 Britain, America and China, and all the enslaved peoples and the freedom-loving peoples of the whole world. With the entry of Japan and America this war has assumed the character of a world war. These two powers have clashed over their interests in the Pacific Ocean and the Far East, opposing interests which have become so acute that they have ended in war. But all this violence and speculation at the expense of the Albanian people has thoroughly exposed fascism. The indignation of the people, which is constantly mounting, erupted in the streets of the cities of Albania. The first government lost all credit and was no longer useful in making the Albanian people a docile cow for fascism to milk at its ease, or to use them to suppress the national liberation movements of the neighbouring peoples and our country as a base in the Balkans for the war against the Soviet Union, the glorious vanguard in the liberation war against fascism. By giving the Albanian people the illusion of “self-government” fascism is seeking to divert the Albanian people from the true road to liberation, which is the uprising against fascism. ...The national-revolutionary movement of the Albanian people is gaining new strength from the barbarous oppression which has been imposed on them for more than two years now, and the days is not far off when these united forces will be transformed into a powerful torrent, which will overwhelm all the enemies of the national freedom of the Albanian people. Therefore we must work unceasingly to mobilise the masses of the Albanian people in the national liberation movement, we must unite with all the nationalists4 who really love free Albania, with all honest Albanians who want to fight fascism. The proletarian revolution in Russia made the most profound impression on the Albanian youth and the entire Albanian people enslaved under the feudal system and exploited by the imperialist powers. In 1922-1924 the “Bashkimi” society became the exponent of the movement of the anti-feudal and anti-imperialist Albanian masses, and impelled the Albanian parliament to honour the memory of comrade Lenin, and the government to recognise the Soviet Union de jure, events without precedent in the life of bourgeois states. In 1925-1926 the leftist members of the “Bashkimi” soc[iety] were admitted to the Soviet Union from emigration, and a group of Albanian communists was formed there. “Konare” (the National Revolutionary Committee) was also formed by the national-revolutionary elements of Fan Noli's5 party who were in emigration, and in 1928 it was reorganised with the exception of those who were entering into compromises with the imperialist states, took the name of “National Liberation”, and continued to publish “National Freedom”. The “National Liberation” had contacts with the Balkan Committee6 and later (1929) the Albanian communist comrades represented it on the committee and, through the committee, in the Comintern. In 1930 the first Albanian Communist comrades came from the Soviet Union to Albania, linked themselves here with the movement of the masses which had just begun to appear in Korça, and maintained the connection with the Comintern. In 1932 the communists in Korça established their first links with the workers and masses of the people and comrade Ali Kelmendi deserves to be remembered for the generally correct leadership he gave this movement, together with the other comrades of Korça, from 1933 until 1936, a movement which laid the foundations for the formation of the Communist Party. In 1934 X[oxi] N[iko] was expelled from the “Puna e Korçës”7 for his unprincipled struggle against the line pursued by comrade Ali. X[oxi] N[iko] adopted the ideology of the archeio-Marxist8 intellectuals who had come from Greece to Albania, created his faction and fought the participation of the communists in the movement of the masses by inventing the theory of “cadres”. Later X[oxi] N[iko] played the role of a scab, then of provocateur and finally (at the trial of the communists in January 1939) became an open traitor. In 1936 the Shkodra group began to grow. Later it made contact with “Puna e Korçës” and with the faction of X[oxi] N[iko], joined the latter, adopted the theory of “cadres” and thus remained with very weak ties with the masses. At the same time the group of Trotskyists in Tirana,9 with which all the above-mentioned groups had had contacts, was formed. In 1937 the new instructions (the new line) of the Comintern10 for the temporary dissolution of the cells and their reorganisation on the basis of the party after sound foundations had been laid among the masses, for the exploitation of legal opportunities, for the defence of democratic and national rights, for the defence of peace against preparations for the imperialist war, arrived in Albania. These directives, which had major historical importance in the communist movement, were accepted and partly carried out only by “Puna of Korça”. In the absence of formed parties, the people's front was realised to a certain extent not only from below but also from above, taking advantage of the antagonisms of the bourgeoisie. In this work, even Zogu could have been included in the anti-imperialist front had he taken up arms to fight the entry of fascism into Albania. The united groups of Shkodra and X[oxi] N[iko] not only did not accept the directives, but they even contested the possibility of an anti-imperialist people's front in Albania allegedly until the Albanian Communist Party would be formed (See the “Green Bulletin11 nr. 1 and 2). After the fascist invasion, the passive resistance of the people against fascism began in Albania. In September-October 1939 the social-democratic compromise was reached between “Puna of Korça” and the group of Shkodra, a compromise for the sake of internal peace without the purging of harmful elements and theories alien to the party of the proletariat, theories which had been created especially by the intellectuals. This liberal-opportunist compromise, based on an unsound peace within the organisation, widened the gap between the two groups, confused the members, inhibited the movement of the masses, and left the field free for the formation of new groups, as well as for the strengthening of the activity of the Trotskyists. This compromise which, as could be expected, led the communists to tail the situation and the masses, came to an end in May-June 1940. In February 1940 on the issue of the strike of the secondary school of Tirana signs appeared of the existence of a third group later called the “Youth” group, as well as the existence of other groups as for instance the F[ire] group. In May 1940 the leaders of this group were discovered and because of the division between the group of Korça and the group of Shkodra, the leaders of the “Youth” group united with those of the group of Shkodra. The “Fire” group remained on its own and so it is still. A struggle over principle started between groups supporting the theory of “cadres” and the group of Korça which insisted on work among the masses. It turned into an unprincipled struggle which inhibited the movement of the masses more than ever. Under the influence of a few intellectuals, who introduced a rotten intellectualism, alien to the workers movement, other groups have also sprung up, which have further fanned the flames of the struggle of the groups. But this does not mean that we must fight against intellectuals loyal to the workers movement, against intellectuals devoted to the Party. After the fascists attack against the Soviet Union the great harm being done to the communist movement as a result of the fruitless struggle among the groups and the imperative necessity to put an end to this struggle and realise the necessary conditions for the unity of the movement in Albania was more than ever apparent, particularly from below. This unity became a reality with the first meeting of the main communist groups of Albania, during which a general examination was made of the communist work carried out in Albania up to the present day. This meeting yielded as a result the creation of a Provisional Central Committee of the Party which was charged with the heavy burden of carrying out the duties which the historic moment imposed on the Albanian communists: to hold discussions with all the other communist groups of Albania, to give them the possibility of entering the ranks of the Party if they are firm in their decision to work for communism and submit to the discipline of the Party. The Provisional Central C[ommittee] is charged with the heavy burden of selecting the elements for, and organising and strengthening the Party on the example of the Bolshevik Party of Lenin and Stalin. The communist movement in Albania has had some successes. A political stand has been maintained at every important moment, a stand always inspired by the interests of the Albanian people, the proletariat and the Soviet Union, but which has not been carried deep among the people. d) demonstrations have been held to defend national freedom and against the fascist invader, which have had a certain success in developing national and antifascist feeling among the masses (the demonstrations of April 1939, November 28, 1939, 1940 and now recently the demonstrations of October 28 and November 1941 in Tirana, Durrës, Elbasan, Vlore, Shkodër. Leading the country, that of Korça12 where the bloodshed signalled the start of the war against fascism). Time after time leaflets with revolutionary content and slogans have been distributed, the aim of which has been to explain the situation to the people and these have had the effect of raising the prestige of communism, of the party of the proletariat and the USSR. A certain amount of Communist literature has been translated and distributed all over Albania (this literature, however, is uncontrolled and it is up to the CC to control it). Organisational mistakes – The greatest organisational and political mistake has been the failure to accept and apply the directive of the Communist International, which was of historical importance because it opened wide prospects to the communist movement: that the existing communist cells, which were opportunist, Trotskyist, with a spirit of cronyism and factorism, not linked with the masses, infected with the struggle between the groups, and sectarian, must be dispersed; that they must be thrown among the masses so that the basis of sound organisation would emerge from among the masses. Even the group which accepted the directive only carried it out partially and after having dissolved the cells it created them again in the old way. The non-acceptance of the directives of the Comintern impelled the groups, which did not accept and did not carry out the directive of the Communist International, to seek links from party to party. Among the leaders of the “Puna e Korçës”, localism, lack of the spirit of sacrifice, monopolisation of responsible work in a few hands have predominated. Apart from these defects, satisfaction with the results of the actions prevailed, and this led to failure to make organisational gains and to leaving the new elements and movements, that were arising outside Korça to their own fate. Liberalism of the organisation towards the comrades has been prevalent, too, and has gone as far as opportunism towards other elements, indeed even towards declared class enemies like Z[ai] F[undo]13 and A[ristidh] Q[endro], a mistake into which the comrades of the other groups have fallen, too. The other groups have been characterised by narrow severity towards the comrades, a thing which led to control over the smallest details of private life, to separation from family, the creation of artificial collectives, living badly, which are like anything other than communist collectives, something that gave the comrades the illusion that they were contributing everything to the organisation. This is nothing but sectarianism which concentrates attention on minor things and diverts it from big actions. Apart from these things, there were a few with ambitions, which accentuated the spirit of cronyism. No serious attempt has been made to organise the work on basis of the Party by eliminating groupings and purging the movement of harmful elements, but on the contrary a social-democratic compromise has been reached, which has nothing in common with the party of the proletariat, has made the gap between the new groups much deeper, and has made things easier for Trotskyist and other elements. The organisation of the cells and their work have not been correct. The trios14 were confined to themselves and without links with the masses. The struggle among the groupings has led to the recruiting of elements without checking their background and to competition for members. This dirty struggle between groups has hindered proper communist organisational work in Albania and driven it on a (wrong) course, violating security so greatly that the internal affairs of the communists had become the subject of gossip in the market place. But in reality very little constructive work has been done. Grave mistakes have been made in the work with the Youth. Cells of young people have been created without taking into consideration the special problems of their age and burdening them with responsibility too great for their years. Political mistakes and theoretical deviations. Starting out from the incorrect view, alien to the party of the proletariat, that there are no classes in Albania, there has followed the negation of the class struggle, of the possibility of a communist movement among the masses, and therefore of the revolution, a theory which diverts the working class from the real struggle and leads to the most dangerous opportunism. From this has come the theory that the cadres must first be trained, then go among the masses. This theory, together with that of preserving the cadres from danger, is defeatist, opportunist, and leads to the liquidation of the Party. It alienates the communists from the masses and turns them into a sect. The cadres are strengthened and increased as a result of the activity among the masses. The denial of the possibility of the formation of an anti-imperialist popular front in Albania, the turning inwards, isolation from the daily life and mistakes in the analysis of situations as well as the rejection by the Communists of their leading role in the drive of the masses have stemmed from these wrong views. The work among the masses, which has been done in some centres of Albania, has not had a character of revolutionary continuity. During the first stage of the imperialist war extensive agitation against the war and in defence of peace was not carried out, and indeed theories appeared here and there preaching that the war in question is between two imperialist sides, that it is of no interest to us to intervene, and that in the final analysis the extension of Albania16 will increase the communist and proletarian element which will help us to form the party. This is a view, of the deepest-dyed chauvinism, which in reality serves imperialism. “The little theory” has been defended that one can tell the police a little in order to defend a large part of the work, or to prove whether such and such a person is a spy or not, has connections with a certain government official or not, as well as allegedly to strengthen the comrades. This kind of stand before the class enemy is betrayal. In the question of morality a bad posing of the problem has been noted. Grave mistakes, incompatible with proletarian morality have been made in this field. Some views alien to communism and which gravely compromise the name of the party of the proletariat have been defended. Through repetition many of the above-mentioned mistakes, deviations which have nothing to do with the party of the proletariat and which in many cases are Trotskyite have been raised to the level of theory. These have their roots in the influence of the anarchist, Trotskyist and other theories, which are alien to the party of the proletariat. One of the fundamental laws of the development of the party of new type, the Bolshevik Party, is the struggle on two fronts, against its own mistakes, and particularly against the attempt to form factions, and the irreconcilable struggle against the class enemy. Therefore the party will not become a party of the old type, a party like those of the social-democratic Second International in which internal erosion, failure to work, cronyism, factionism and the betrayal to the interests of the working class prevailed. We want a disciplined party, in which the comrade will submit to the higher forums (committees), a party which will be capable of leading the working class in struggle through to victory, which will he closely linked with all the working masses of town and countryside. “If they do not separate themselves from the people from the mother who gave them birth, the communists will be invicible”17, this is how our great teacher Stalin has taught us. This is the sort of party we want. Without fail we must continue the work, more energetically, in order to eliminate all the negative symptoms and unhealthy theories. To protect the Party against the blows of the class enemy, against various tendencies to groupism, against destructive actions by any one, it is essential that as quickly and energetically as possible we continue the purge of the ranks of the Party, retaining what is good and freeing it from alien influence. It is necessary to liquidate limitations on what work a comrade will do, behaving like politicians, liberalism and opportunist manifestations. Therefore, it is necessary to always keep our open politically and organisationally, and collaboration between members and leaders is necessary. In this regard, it is necessary that the ability of all the forums and of all the members of the Party, be known and that all are put in the appropriate place. To preserve the unity of the Party it is necessary to eliminate from the Party all the incorrigible factionists and groupists. In this way, through the purging of its ranks, the Party grows even stronger. We must devote special attention to the comrades who have rejected the group spirit and have become dedicated fighters for the Party. 1) To select and organise the members into cells, to create new cells. Without fail the system of cells must become the organisational basis of the Party, within the shortest possible time. 2) The ranks of the Party must be strengthened immediately with new forces, with sound fighters, workers, and peasants recruited from the poor people of town and countryside. We must liquidate, once and for all, fear and sectarianism about bringing sound worker and peasant elements in to the Party. 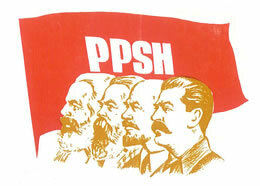 The cells must emerge from the workers' movement, from which the true leaders of the Party emerge. 3) We must energetically persist in the ideological theoretical and political raising of the cadres, by learning the Marxist-Leninist theory, by studying the course of the History of the CPSU (b) which is the main pillar for the formation of a strong illegal communist party, and this course will be valuable in training the comrades to combat all phraseology and unhealthy intellectualism. 4) In cells and committees the work must be divided among all members in conformity with the abilities of each. 5) Only he who accepts the program, who takes an active part in an organisation (cell) of the Party and who pays his dues, can be a member of the Party. 6) Strong links must be created between the cells and the regional committees, as well as between the lower and higher committees. 7) The committees must continually exercise check up over the work of the cells and of each member. We must particularly guard against any smuggling in of work in the old group spirit. 8) To clear up the situation in the Party the greatest possible initiative of the cells is necessary, and the leading comrades must help this initiative in every way. The comrades must pour their whole will and possible fire-power into the day to day work of the Party. They must develop love for the Party, and protect our reputation and that of our Party like the apple of their eye. 9) Lack of discipline, and contempt for the work and decisions of the Party is one of the gravest and most harmful phenomena in the organisation. It is essential to put an end to these phenomena, steel-like discipline and absolute submission to all the decisions of the Party is indispensable. Therefore, the Party will most energetically remove from its ranks any undisciplined element any element with anarchist, opportunist, or liquidationist tendencies, and any one with unhealthy ambition. 10) On the question of security and preservation of the Party's secrets in the face of the class enemy, some liquidationist, opportunist and traitor elements say that torture should not be resisted but one should talk, betray; these are views alien to the party of the proletariat and must be mercilessly eliminated. The security we have had so far has been rotten. We have security to protect the organisation against the class enemy, and not to hide behind the curtain and shut ourselves away. 11) We must extend organisationally to all places where until now this work has not been done or has been done very little. 12) We must carry out agitation and propaganda among the broad masses of the people, must organise and carry out actions. 13) We must really create and organise the guerrilla movement of the masses as the framework of the future army, as well as the real material and political bases for the guerrilla units, together with the other political parties and with the national liberation movement. 14) A change must be brought about in our work with the women. The present situation especially obliges us to do serious work among women; we must bring working women into the Party, help them in their work for the mobilisation of the female masses for the liberation war. 15) The Party organisations and higher forums are obliged to give their assistance to the Albanian communist youth in their development and in the mobilisation of all honest Albania youth. 16) The Party organisation must collect aid for the Party so that will be able to carry out extensive party work, for the liberation war, for the victims to the white terror. This must be strengthened and extended all over our country. In any organisation some kind of discipline must exist, but in our C[ommunist] P[arty] a special discipline is necessary which stems from the high consciousness of the Party members, the most conscious sons of the working class and the people. The heavy conditions of illegal work impose on us an even stronger discipline and particularly here in Albania. Every member of the Party must subject himself, unquestioningly, to the discipline of the Party. Without a steel-like discipline and the unity of the Party, our Party, which has a large number of enemies, would be unable to lead the struggle successfully. Lack of discipline is brought into the Party by alien elements who worm their way into it with the aim of destroying it from within. Thus various elements from the petty bourgeois strata who have not lost their petty bourgeois spirit, i.e. people who are not sufficiently mature to be members of the Party, or various careerists, who bring confusion manage to get in and pave the way for anti-party and Trotskyist work. It is not difficult to recognise all these people if we keep our eyes open. The conference18 and the new forums19 express the conviction that the organisation of the Party in Albania will combine all its energies for the liquidation of the unhealthy situation which has prevailed in all the communist organisations of Albania and will exert all the organisational strength of the Party so as to stand in the front ranks of the struggle for the bolshevization of our Party, which must respond to the great tasks facing it today. The Party must extend its work among the broad working masses of Albania and further extend and strengthen its work with the national liberation movement from below and from above. We must implant the idea of a general uprising of the people for liberation through joint actions. 1) Create and broaden the fighting unity between the working masses of town and countryside. 2) Fight for the national independence of the Albanian people and for the democratic people's government, in an Albania free from fascism. 3) We must develop love for the Soviet Union, by popularising the achievements of the Soviet peoples and the vanguard role of the USSR, in the liberation war against fascism. 4) Through actions (sabotage), strikes, demonstrations, etc., prepare the people politically and military for the armed general uprising, including in the struggle all the patriotic and anti-fascist forces. And in all these things we must not forget the danger of the influence of nazism. We must expose the government of the traitor Kruja and its manoeuvres to disrupt the national liberation front of the Albanian people by presenting the liberation struggle of the neighbouring peoples of Yugoslavia and Greece as dangerous to Albania, with a view to weakening the fight against fascism. We must combat the attempts of fascism to divide the Albanian people by means of religion, and eliminate religious antagonisms. 5) We must develop love for and militant collaboration with all the peoples of the Balkans, particularly with the Serbian, Greek, Montenegrin and Macedonian peoples who are fighting heroically for their national liberation. 6) Struggle for the right to a livelihood of the industrious Albanian people – workers, peasants, intellectuals, as well as for our militant younger generation. 7) Only by fulfilling these tasks will our Party be able to ensure its influence among the masses of the people and make it impossible for the enemies to divert the people's war from the correct course, from the course of the war against fascism. Every Party member must be conscious and understand this serious and fateful situation, must work ceaselessly to achieve this result. 1) The fifth column – a counterrevolutionary group comprised of spies, diversionists, Trotskyists and other enemies who were active behind the lines of Republican Spain in the period of the fascist rebellion 1936-1939. The fascists, who attacked Madrid in 1936 with 4 columns, called this group of traitors the fifth column. The expression “fifth column” assumed the meaning of the agency of the imperialists in the democratic countries and in the ranks of the revolutionary movement. In our country the disguised enemies of the National Liberation War, who tried to sow confusion, panic and disruption in the ranks of the people's masses, were called by this name. 2) The Democratic countries or great democracies – At that time this is what the capitalist countries – Britain, the USA, etc., which were fighting against the fascist states, were called, to distinguish their order of bourgeois democracy from the fascist political order in Germany, Italy, Japan, Spain and elsewhere. 3) Luogotenenza – At the time of the occupation of Albania by fascist Italy, the name of the Italian administrative apparatus created by the invaders in Tirana, which in fact exercised all power in our country, At the head of the Luogotenenza was the lieutenant governor for the king of Italy, Victor Emmanuel III, and the Duce of fascism. At the beginning of the occupation of Albania by fascist Italy, F. Jacomoni, a diehard fascist, former Minister plenipotentiary of Italy in Albania during the time of Zogu's regime was appointed lieutenant governor. In March 1943 F. Jacomoni was replaced by General Pariani. 4) Nationalists – the patriots who loved the homeland and demanded its liberation from foreign invaders, but who did not nurture revolutionary ultimate aims we usually called nationalists. But the pseudo-patriots from the ranks of landed proprietors, chiefs of clans and the reactionary bourgeoisie also called themselves nationalists. For this reason, to avoid confusing them with the reactionary and traitorous elements, the true patriots we also called “honest nationalists”, “patriotic nationalists”. 5) The Party of Fan Noli – the supporters of the democratic government created after the victory of the democratic Revolution of June 1924, of which Fan Noli was head. In reality Fan Noli did not have any separate party. The majority of his supporters belonged to the society “Bashkimi”, the Revolutionary National Committee (Konare) was created by emigrant elements of this society, after the overthrow of the democratic government of 1924 and the advent to power of Ahmet Zogu. At first the head of Konare was Fan Noli. 6) The Balkan Committee – the Committee of the Balkan Communist Federation, the section of the Communist Third International which united and coordinated the activity of the communist parties of the Balkan countries. G. Dimitrov was secretary of the Balkan Communist Federation. The group of the Albania communists in the Soviet Union, to which Ali Kelmendi belonged, as well as “Clirimi Nacional” maintained regular contact with the Committee of the Balkan Communist Federation. 7) “Puna e Korçës” was the communist group of Korça. (“Puna e Korçës” must not be confused with the professional association “Puna” of the building trade workers created in Korça in 1933). 8) Archeiomarxist was the name given to the members of an anti-Marxist organisation in Greece. In 1930 it united with the fourth International of Trotsky, as the Greek section. During the second world war the archeiomarxists acted openly as servants of the Italian and German fascists. They took the name archeiomarxists from their organ named “Arqio Marksizmu” – (the archives of Marxism). 9) The Trotskyist group of Tirana was a small group comprised of Trotskyist elements, enemies of communism, created in Tirana towards the year 1936. This group was headed by the traitor Aristidh Qendro, a renegade from the communist group of Korça, The group was destroyed immediately after the creation of the ACP. Aristidh Qendro placed himself at the service of internal reaction and the fascist invaders. After the liberation he was tried and sentenced to death for activity as a traitor. 10) This refers to the directives of the Comintern, according to the decisions of the seventh Congress of the Communist International, which was held in Moscow from the 25th of July to the 25th of August 1935. The Congress heard and discussed G. Dimitrov's report "On the attack of fascism and the duties of the communists for the unity of the working class in struggle against fascism”, P. Togliatti's report "On the tasks of the Communist International concerning the preparation of the new world war on the part of the imperialists”, and the report “On the conclusions of the construction of socialism in the USSR”. Taking into consideration the situation created after the establishment of the fascist dictatorship in Germany, the seventh Congress defined a new tactical orientation for the communist parties and the world labour movement in general. This new orientation was the uniting and mobilisation of all the forces of the working class and the broad masses of the people in the struggle against fascism and the preparation of the new war. In connection with this orientation, the Congress laid down the tasks of creating a single, popular, anti-fascist and anti-imperialist front, in which apart from the communist parties, the trade unions and all the workers' and antifascists organisations should take part, and thus the struggle against fascism, and in defence of peace would be waged through joint actions. The tasks laid down by the seventh Congress of the Comintern, in the form of directives, were sent to the communist movement in Albania in 1937. 11) “The Green Bulletin” – organ of the Communist group Shkodra, which was directed personally by the former head of the group, the Trotskyist Zef Mala. Two issues were published altogether: Nr. 1 of December 1938 and Nr. 2 of January 1939. “The Green Bulletin” contained a number of anti-Marxist views and grave political mistakes. The Bulletin was called “green” because of its green covers. 12) The demonstration of Korça took place on the 8th of November 1941. It resulted in clashes with the fascists who used hand grenades and fire arms against the masses of demonstrators. Apart from the many wounded, the veteran member of the Korça group, Koci Bako (Hero of the People) was killed in the demonstration. 13) Zai Fundo – enemy of the working class and socialism, renegade, carried out vicious hostile work against the extension of communist ideas in Albania, against the Soviet Union and the Communist International. During the National Liberation War he placed himself at the service of internal reaction and the German fascist invaders. For his traitorous activity against the Party and the people he was tried and sentenced to death during the war, in 1944. 14) The trios – the cells of the communist groups comprised of three persons we so called. 15) This refers to the communist group of Korça on the occasion of the occupation of the city of Korça and of a part of Southern Albania by the Greek army at the end of the year 1941, after the defeat and the withdrawal of the Italian fascist army. The communist group of Korça, like the entire Albanian people, maintained a correct stand on this occasion, sabotaging the war of the aggressive Italian army and assisting the war of the Greek people against the fascists by every means. Elements and sympathisers of the Korça group who happened to be soldiers at that time deserted the front. But the communist group of Korça fell into error by thinking that the Greek army and the reactionary government of Metaxas, the fascist dictator of Greece, would behave towards Albania as liberators. Consequently, on the occasion of the withdrawal of the Italian army from Korça and its outskirts, Korça remained free without any occupier for more than two days. Instead of taking the initiative to create an Albania administration and distribute to the people the stores of arms left by the Italians, the communists became guardians of the depots and handed them over to the Greek army. Only a few days after the occupation, the Greek government proclaimed the annexation of Korçea and Gjirokastra to the kingdom of Greece. 16) The extension of Albania was a slogan of the fascist invaders and local traitors to arouse chauvinistic feelings, to sow enmity between our people and the neighbouring Yugoslav and Greek peoples and divert them from the national liberation struggle. 17) See: J.V. Stalin. Works, vol. 14, p. 136. 18) The meeting of the communist groups. 19) The Provisional Central Committee of the ACP and the Central Committee of the Albanian Communist Youth. 20) In the Resolution of the meeting of the main communist groups and in the first appeal of the CC addressed to the Albanian people after the creation of the Party mention is made of some event belonging to the month of December, as is the advent to power of the quisling government of Mustafa Kruja. For this reason these two documents approved by the meeting of the communist groups, were put in circulation in December, after having undergone their final drafting and after the technical possibilities for publication had been created.